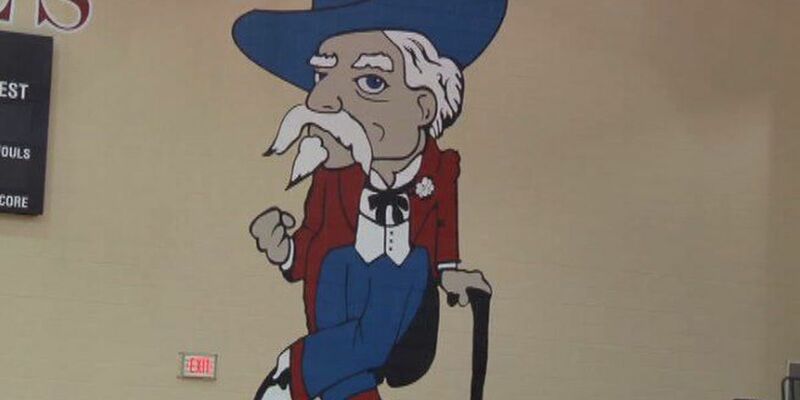 VESTAVIA HILLS, AL (WBRC) - The Vestavia Hills City School Board has approved the superintendent's recommendation to keep the high school mascot name the Rebels, but change their mascot's image. The recommendation and vote came during a meeting Wednesday night. There has been scrutiny over the school system's mascot. Some say the Rebels name and mascot are racist. Superintendent Sheila Phillips says the system will hire an outside firm for guidance on rebranding the mascot. She said this will help the system decide if a if a completely different image or another version of the "Rebel man" could work. Phillips said it's important to her that students will be involved in the mascot rebranding. "This is going to be a learning experience for all of us," Phillips said. "We just want it done correctly." As to the matter of replacing uniforms, signs and other things with the VHHS Rebel mascot, Phillips said the transiton will take time. Megan Hayes is covering the story. You can follow her updates on twitter by clicking here. We will update this story through the evening and will have live reaction on FOX6 News at 9. After extensive consideration, I drew my final conclusion and made the decision late yesterday to put the topic of our mascot and name on the agenda for this evening because we are at a point in which I feel I have all of the information I need to make informed decisions about our mascot and name, and no further study is needed for this initial step in the process. Just to be clear, this recommendation is not a response to the media hype and rhetoric. It is in response to and about our school district and community and an issue that continues to be a source of contention and division for us in what can appear to be a no-win situation. Over the past several weeks, I have met with numerous stakeholders — students, parents, and citizens of our community with a vested interest in our school system. I have fielded more than 200 emails and have engaged in numerous telephone conversations to hear all sides of the controversy spurred by publicity that was often misguided. I read every single word of every email or letter I have received, as has the Board. I have read all social media posts, viewed several videos produced by our alumni, and read every news article sent to me or brought to my attention. I have consulted with experts on the history of our wonderful community and those in business who reached out to help us ensure we can resolve the issue of our branding in the most consensus-building way possible. I have listened to the perspective of our teachers, without whom none of our successes would be possible. And I have reached out for the guidance of former leaders of our school district who had a hand in our success. We opened our doors to a community forum for the purpose of providing one more avenue of communication. I have had several meetings with Mayor Zaragoza and individual representatives of the City Council. Individually, they are unanimous in wanting to keep the Vestavia Hills High School "Rebels" name and the history it represents. There is also an amount of varied agreement on the mascot. As with many in our community, some do not want to make any changes to the current Rebel Man while others are open to modification of him to make it more current, and if an agreement cannot be reached in this area, the possibility of researching the option of a new mascot. Please know the Mayor and City Council have communicated with me the many e-mails, phone calls and petitions they have received on both sides of this issue from the citizens of Vestavia Hills. I appreciate their candor and views. It is imperative even when our views may vary that we work together as we know that economic growth, a healthy tax base, and the success of our schools are intertwined. While there are differing opinions on this issue, it is important to recognize that we do share common ground. We know that we are a community full of inclusion and generosity, with caring citizens and a school system that is by all measures excellent. The history of this great community and the documented facts based on rulings time and again clearly show that we are not a community of hatred, racism or bigotry. But for many within and outside our community, our mascot does not project our positive attributes. I have not been able to respond to each, but I want to say again that personally and professionally I am incredibly grateful for the many, many people who shared their views, reached out in empathy for the position we have all been put in, and the support for the decisions of this leadership. I also want to thank this Board for the manner in which they have truly listened and contemplated this issue. You should be proud to have service-minded individuals who want to give back to their community. I want to state for the record, they have done their jobs. They have taken no action nor have they made any decisions collectively to this point. For our critics who want to speculate and overgeneralize the process of decision-making: you are right, this is a unified board. They are not afraid to push the envelope of school district leaders and progress in our schools, but at the same time they are a body that embraces our school and community traditions. And most importantly, they understand what our focus must be: that of students. We should all be working toward the same goal — providing the very best environment for our children to learn and thrive. This debate has brought out the best in most and the worst in some, as any controversy will. Now, we are at a point where we must work to come to a consensus that truly speaks to who we are as a community — one of common beliefs and unity — and to set an example for the children and students of Vestavia Hills. Over the past few weeks, I have witnessed a shift in this recurring debate about what should be. In the end, the strongest families debate and argue, but then forgive and move on with love and kindness. I hope that we will come to regret some of the things we've said to each other and that kindness and goodwill will indeed prevail. In this community, a rebel is someone who breaks from the norm, who strives for excellence, who thinks beyond himself or herself and gives back to a purpose beyond themselves. A Vestavia Hills Rebel represents a spirit of community, philanthropy, and the highest standards. Our students know how to be a part of a team, whether it is academic or athletic. Our teachers know how to instill pride and a love and understanding of the importance of owning one's learning. Our parents instill a standard of behavior and expectation for educational outcomes. All of these things give us what we call "The Rebel Edge." We have not been portrayed as such, as we seem to have lost the focus of what makes this school system and community great. But, we are a family in this school district and in this community. The care we have for our neighbors and the excellence we strive for and expect is what makes us unique. We hold dear traditions such as excellence, safety and security, and giving back to the community. We should all be clinging to these things as we teach them to our children in our schools. We must keep alive our traditions of strength and the attributes we hold so dear. In this community, our children, our students, our youth come first. Their voice matters, and all we do in this school system should and will be focused on them and their endeavors. As a public school leader, I have the responsibility to advocate on behalf of all students. Our Youth Leadership program in our high school seeks to and has successfully assisted in building a program over the last ten years to instill a character of empathy, tolerance, and understanding among our students — to embrace those different from themselves. I believe we have a moral imperative to have empathy for others no matter our personal views and beliefs; that we are to make certain every student feels welcome. Collectively our community came together to develop our new strategic plan; diversity, inclusivity, and respect were identified as traits that will strengthen us. We will be diligent and thoughtful to take these teachable moments and turn them into inspiration for healthy dialogue among our faculty and staff and lessons in our classrooms. As with all business decisions, we will seek to be fiscally responsible, frugal and sound as decisions through this process are made. With any strong and progressive company or organization that must continually refresh its image to represent the direction it is going, to ensure that it reflects the future and does not lose its competitive edge, logos change. It doesn't change who you are, it modifies how you are branded. It is for these reasons I recommend to the Board that we remain the Vestavia Hills Rebels and that we enter into an aggressive process with a professional firm for the purpose of rebranding and repositioning our mascot. And, I encourage our stakeholders to allow the process to work. Change and progress happen over time and with the collective wisdom of many. We will involve stakeholders and focus groups and, most importantly, our students. We will study other schools, colleges, universities, and businesses that have successfully been through this process. We will do so methodically and with great sensitivity through the lens of our strategic plan developed by so many in our community. I have a few last remarks. To certain members of the media who flippantly portrayed this as a one- dimensional issue: I am a rebel with a cause. It is that of leading this institution of learning for our students. We represent something very different than that of a "smear." May I encourage you to be responsible in your reporting when the facts and reputation of many are on the line. My hope and belief is that the goodness within us will prevail as we work to heal from the divisiveness we have witnessed. As a result of the rebranding efforts of our City, we now claim "A Life Above." And we are. That is what we want to teach our children and project to our state and nation. In the past year, we have gained too much momentum as a school district to focus on anything different. We will regain our unity. If someone wants to make an example of this school system and community, let it be that.